At RAM® Mounts, we love fishing. And we love supporting the anglers who we consider ambassadors of such a great pastime. That's why we're proud to introduce the RAM® Fishing Team – comprised of tournament anglers, licensed fishing guides, and more. Learn more about the team members below, and be sure to follow them via social media to stay up on all of their latest adventures. Favorite Fishing Memory: Fishing with my cousin Joe – he got me started in fishing when I was about 6 years old. We would ride our bikes to local farm ponds and catch Bluegill and Bass. He taught me about turning over logs for crawdads, catching tadpoles and frogs for bait. As we got older I was able to repay those lessons with trips for larger lake trout. Favorite Fishing Memory: As with most of us, I have SO many wonderful fishing memories. 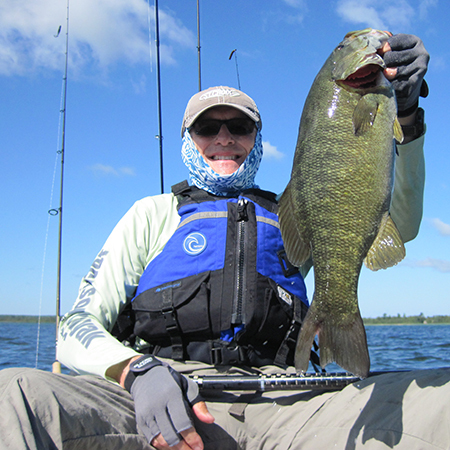 Most recently, this past June, it was special catching and releasing Smallmouth Bass number 20,000 since catching my first in 1994. 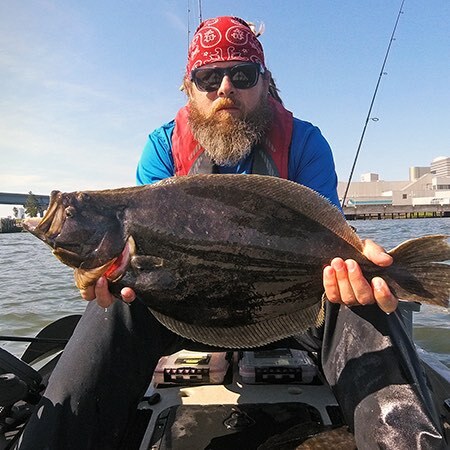 Favorite RAM® Product: RAM® Mounts for my two Humminbird fish finders on my Yar-Craft, Trolling Motor Stabilizer for my Minn Kota Ulterra and I love the external RAM-ROD® rod holders on my Jackson Kayaks. Favorite Fishing Memory: Landing an 82 lb. Pacific Halibut off my kayak and an 8-foot White Sturgeon. Favorite Fishing Memory: Winning back-to-back Extreme Battle in Bahamas Tournament. Favorite Fishing Memory: Catching big smallies with my dad and family at our campsite in South Central Pennsylvania, taking my son on a Mother's Day state-wide fishing tour, taking my mom out to fish for the first time, landing my first five-pound Largemouth and realizing big fish live in little water. The best is always yet to come! Favorite Fishing Memory: Digging through my dad's tackle box when I was just a kid and admiring the Eagle Claw logo on the hooks. Favorite Fishing Memory: Landing king salmon from my kayak along the scenic shores of Lake Michigan. Favorite Fishing Memory: Traveling over 1,000 miles to catch my first Tiger Muskie. Though I was sick, running on three hours of sleep, and exhausted from casting all day in 90 degree heat, when that Tiger Muskie hit at dusk it was all worth it. Favorite Fishing Memory: Catching a Bowfin when I was 4 or 5 years old with the assistance of my grandad on Santee River. Favorite Fishing Memory: Smallmouth fishing with my dad in Eastern Tennessee. Favorite Fishing Memory: I can't think of one specific memory that stands out above the rest, but the best memories seem to be made while fishing from kayaks with my friends. Favorite Fishing Memory: Fishing as a kid at my grandpa's farm pond. 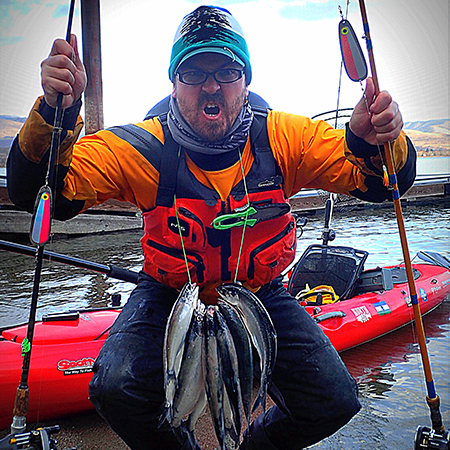 Favorite Fishing Memory: Heading down to Eastern Tennessee – after bass fishing six days at the KBF National Championship in March – to fish for Musky and catching my personal best 46'' in my kayak right before a front moved in. Favorite Fishing Memory: My favorite fishing memory is when my wife put me on my first tarpon land-based in Florida. For years I wanted to catch one. I would fly back and forth from Virginia to Florida until I finally hooked and landed one. Then one late summer night we went out looking for them and ended up hooking one over 100-plus pounds in the surf with a plug. Favorite Fishing Memory: Fishing with my dad, grandpa and twin brother off of Whidbey Island for salmon and bottom fish every summer while I was a kid. Favorite Fishing Memory: My greatest fishing memory is from when I was in Florida with my grandfather for summer fishing in the back bays. I hooked up with a huge fish that dragged us around, which my grandfather thought was probably a Skate. Only having 6 lb. test mono I slowly worked it into the boat and came to find out it was a huge Snook, the first I ever caught. I'll never forget the expression on his face when he saw the size of it. It's memories like that I hope to share with others. Favorite Fishing Memory: My biggest brown trout ever bit right at the boat during Salmon-A-Rama. I took a break from trolling and decided to reel in one of my lines to change out baits. There was about 100 feet of line out that I was reeling in as fast as possible. Right as I ran out of line I saw this enormous Brown Trout smash my lure. It thrashed around for what felt like an eternity but it was clearly a huge fish. I was able to net the fish right as the hooks came out of its mouth. The fish was 26.24 lbs. and took first place in the Salmon-A-Rama Kayak Division. Favorite Fishing Memory: Fishing with dad. Favorite Fishing Memory: Catching King Salmon from a kayak in the fjordlands of northern Patagonia, Chile.